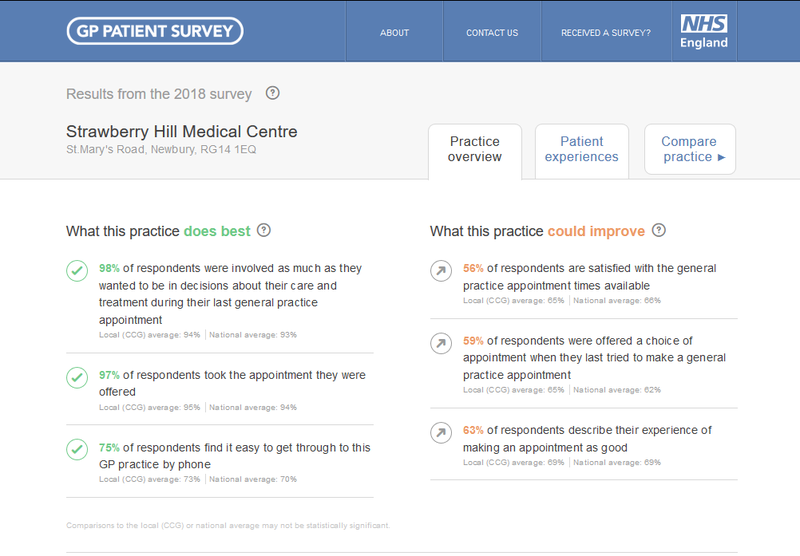 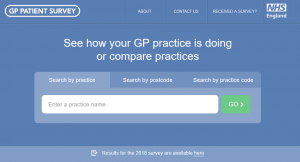 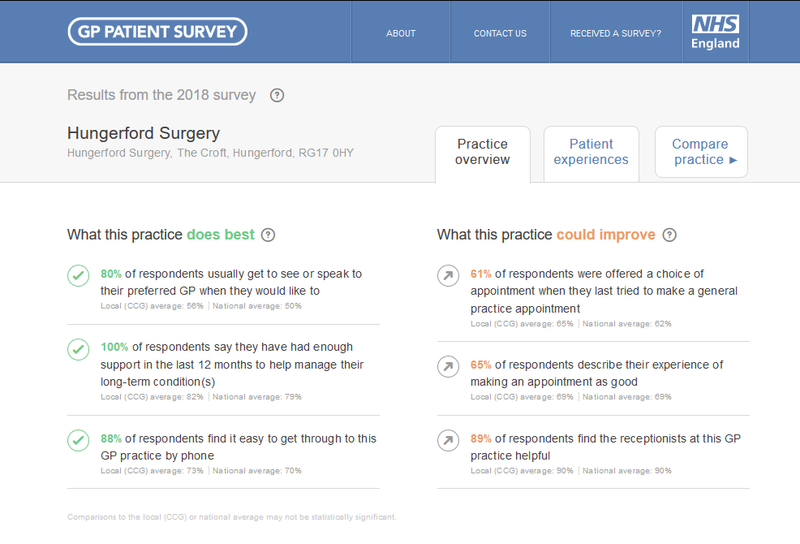 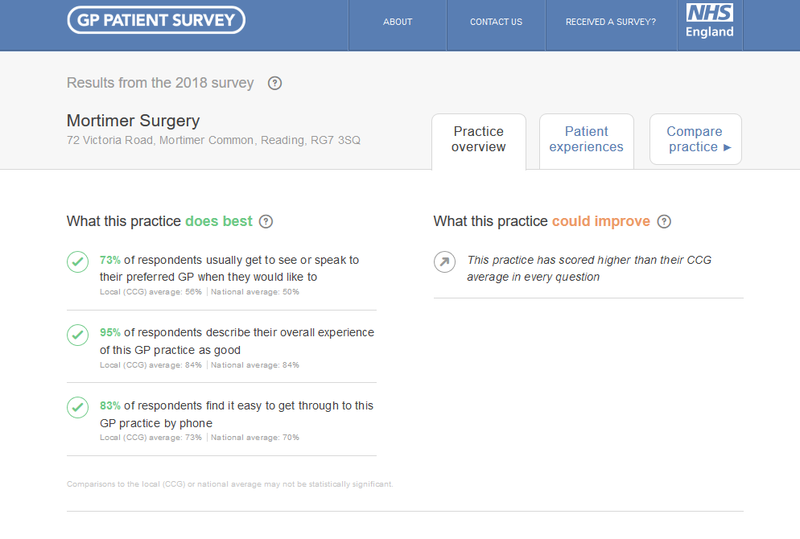 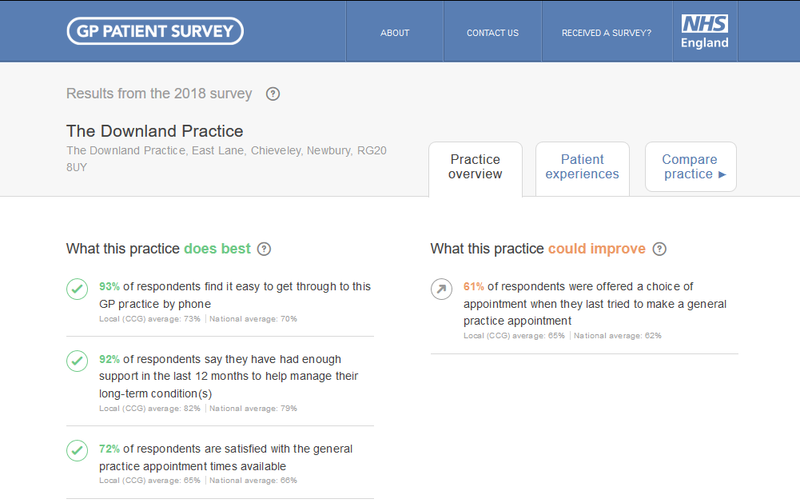 The GP Patient Survey is an independent survey run by Ipsos MORI on behalf of NHS England. 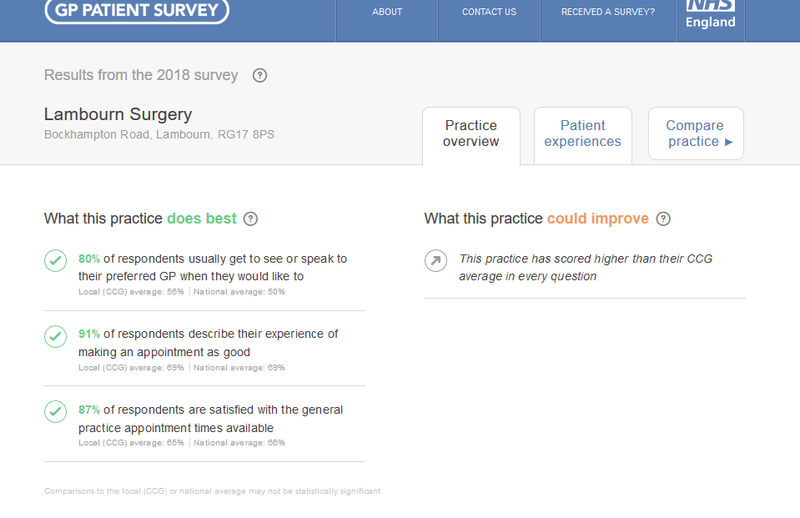 The survey is sent out to over a million people across the UK. 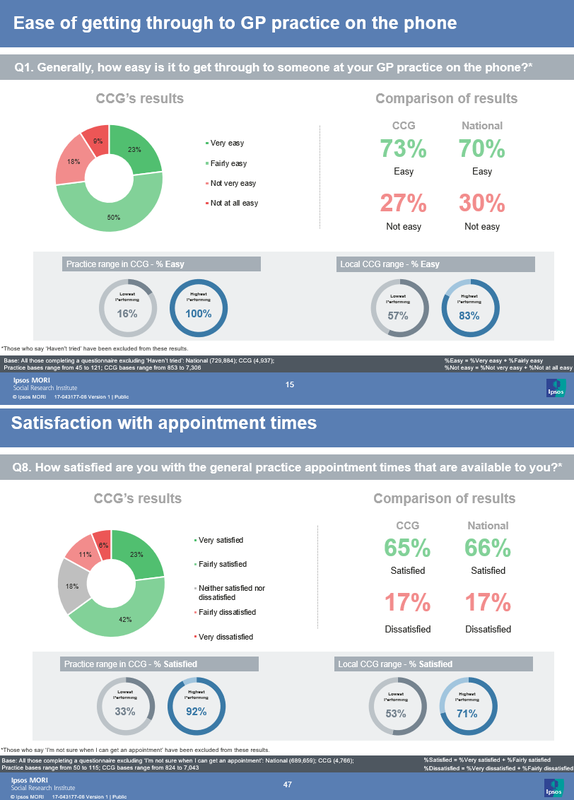 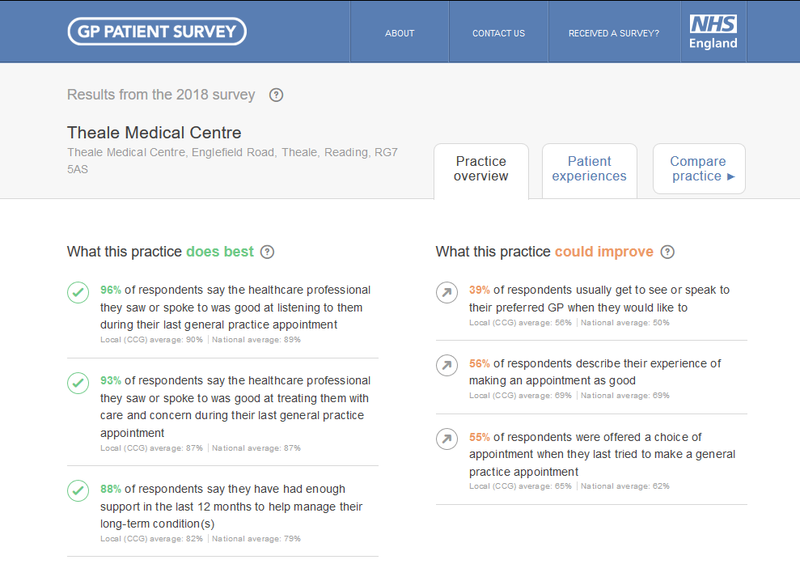 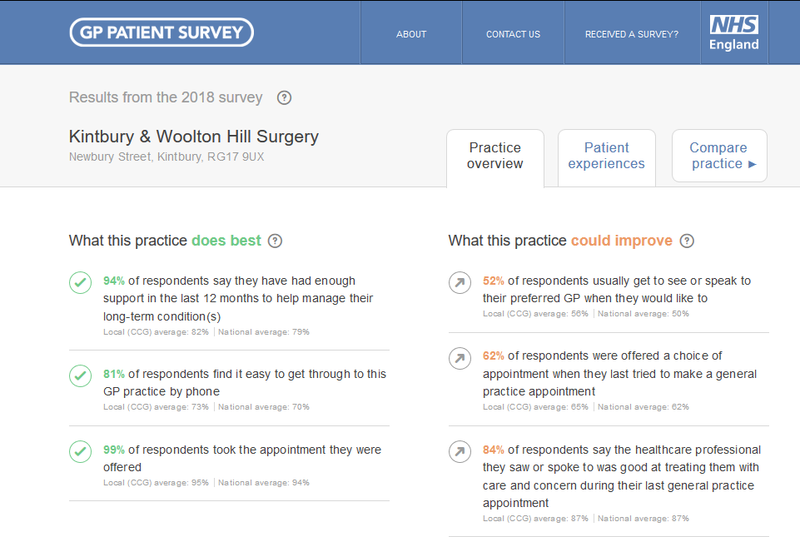 The results which get published annually have recently been published and they show how people feel about their GP practice. 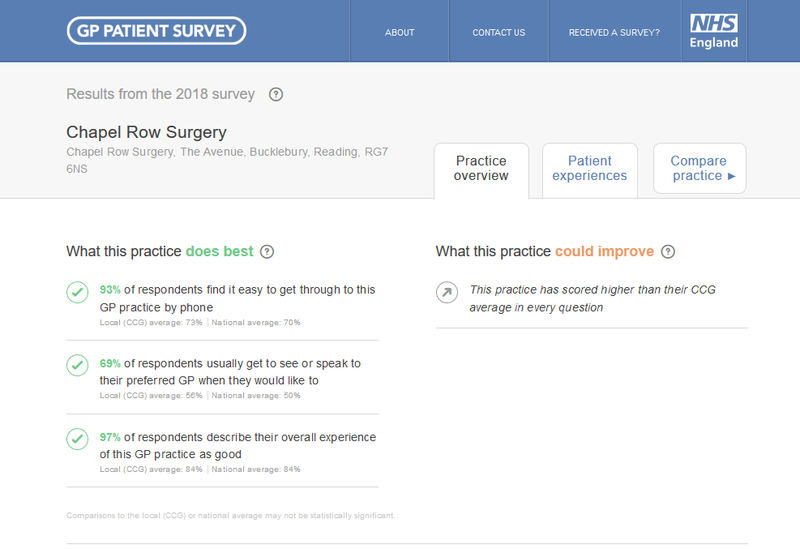 Click on a surgery below to learn how that surgery did. 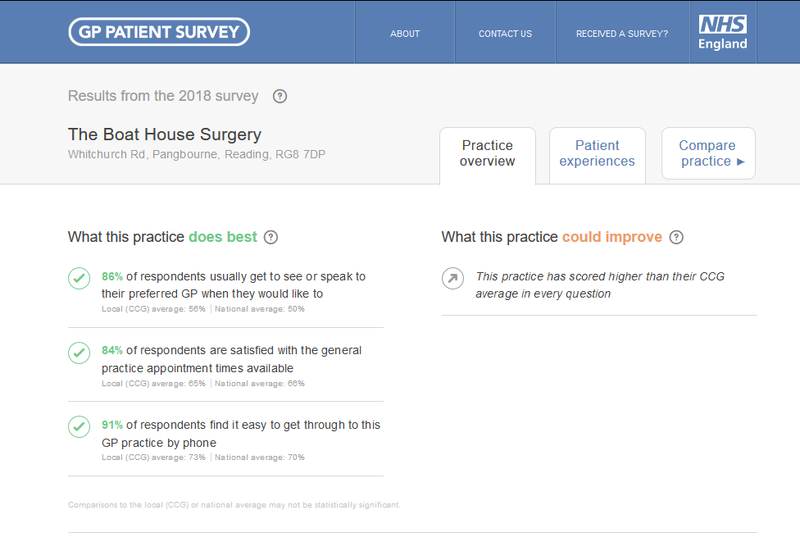 By clicking on the image that then appears, you can see the full results. 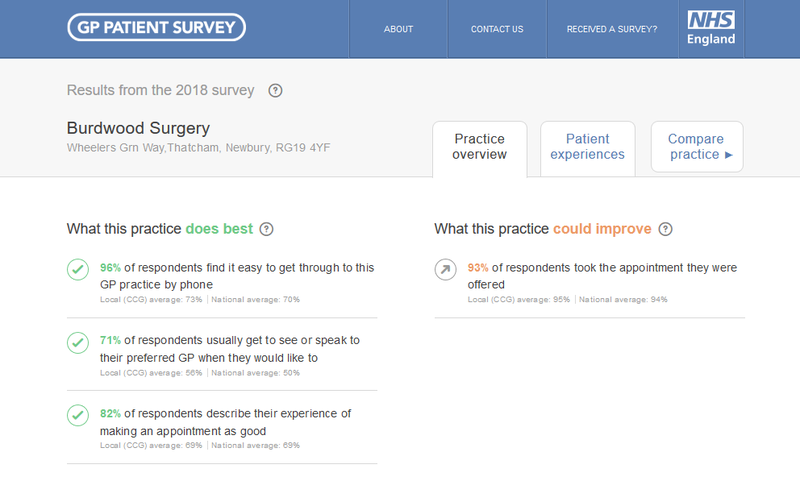 If there are any other surgeries that you’re interested in, you can find out how they did by clicking the image below. 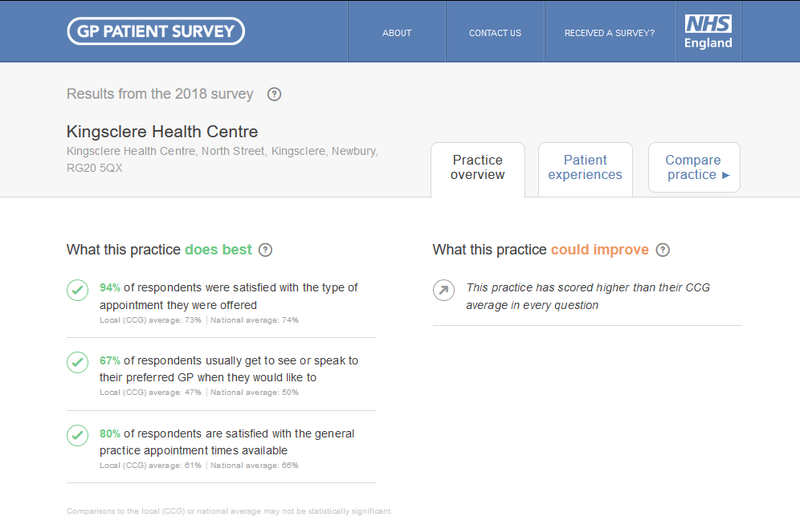 You can also look up details about Berkshire West CCG and see how they performed compared to the national average too. 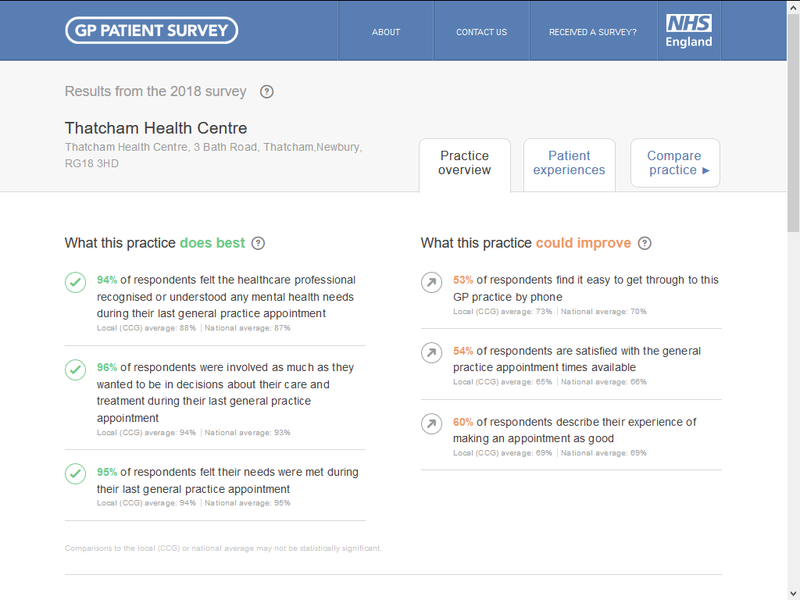 An example of the information that you can find out is displayed in the image below, which you can enlarge by clicking it. 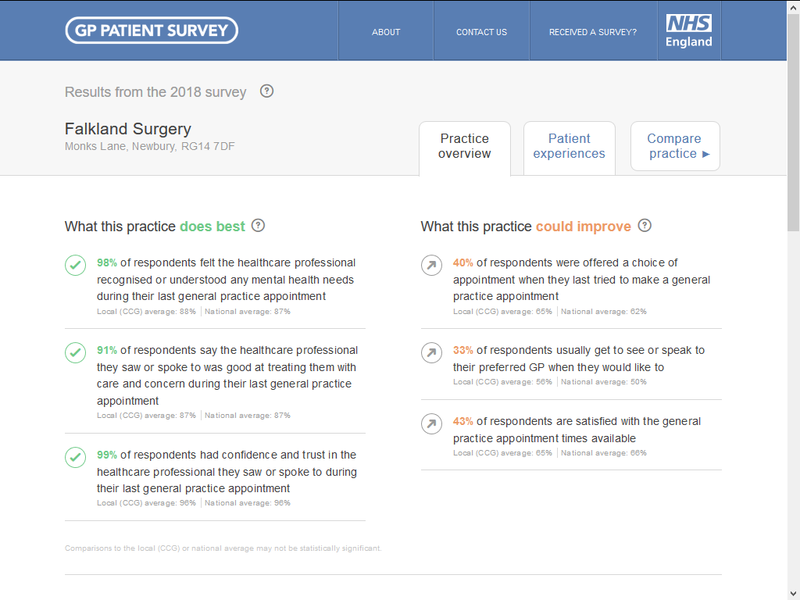 Click HERE to download a power point which contains the full details. 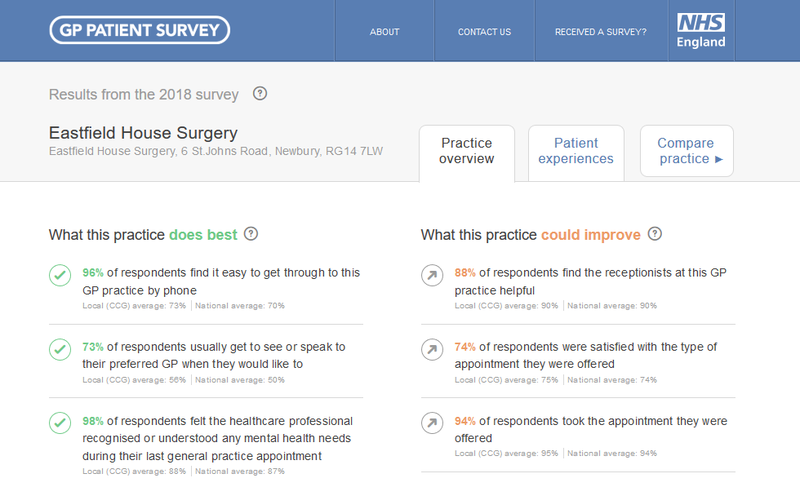 © 2019 Healthwatch West Berkshire.